First of all thanks for initiating this rosy project. It made me collect my rose-scented thoughts and put them in one place. Secondly, we do have some overlapping. Not surprisingly, I'd say. What a great celebration of the rose, they all sound divine. I always learn so much when I read your posts, Ayala, you're a veritable font of knowledge and you know how to pull it all together. Loved that story behind Daltroff and Nuit de Noel. Thank you for making Qajar Rose one of your dozen. I am so, so honored!!! Ayala, I am actually wearing Tocade today. I loooove Parfum Sacre. I bought a bottle of Agent Provocateur unsniffed and I cannot stand how it smells on my skin, that'll teach me! 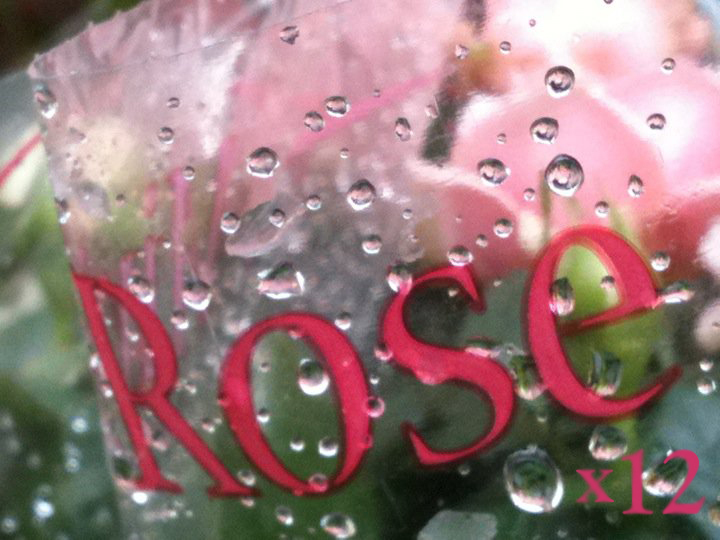 I love rose absolute in any form but struggle with rose based perfumes in general. I think I like the two aforementioned perfumes because the rose doesn't dominate in either one for me. I get "powder" from Tocade and incense from PS. I really enjoy your Song of Songs body oil and wore it yesterday. The recurring theme seems to be rosewater on the face, rose petal jam, and relatives bringing Bulgarian rose oil as souvenirs! Thank you for not only participating in this blogging project - but also for taking the time to comment here! I'm glad you found something new in my list - your list had not even one perfume I ever smelled. I'm still not sure if I should feel embarrassed, overwhelmed or curiously intrigued. Probably a little bit of each! So happy you're enjoying your Song of Songs body oil! I was wearing it yesterday too - for my Valentine's tea party! Ayala, I love reading your memories and associations triggered by smells and tastes. I am familiar with many of the perfumes you discussed here, but learning your background with them enriches my experience of them. And I second Elena's "yum": I'm also on the buttercream and rosewater cookie train. Thanks for wrangling me in this rosy rodeo. Thank you for the rose-fest and for visiting SmellyBlog! Ayala, much gratitude to you for putting this rose scented festival together! Its been such fun reading everyones list and experiencing a little bit of each individual. Each of us a petal in a the blossoming heart note of the rose. Ayala, you won't be surprised to hear that I'm craving Malabi now! It's been ages since I had any. Thank you for inviting to this rosy project. I had a lot of fun realizing once again that I do like quite a few roses. I will echo Katie's comment that reading about your scent memories of these perfumes only makes them richer in my mind. Thank you for such thoughtful descriptions! And a big thanks for including me in this wonderfully rosy event, I can' tell you how much I appreciated the invitation. I think it's time to restock my dwindling supply of Kashmir Rose Body Frosting. That stuff is too good to be out of. Ayala, how I wish I could have attended your Valentine's gathering. I read your blog almost daily but I am quite introverted and don't comment nearly as much as I think I should. I would love to get back to Vancouver at some point. We will definitely have to have a peek into each other's perfume collection one of these days. Thanks for participating! Roses are timeless, and even though I love the scent of roses on my own, I prefer my roses with a lot of potent side kicks (musk and spices, please). Otherwise I find them too heady or sharp. Thank YOU for participating :-) It's a wonderful treat to see a new post on ScentHive! Always happy to add to the collective consciousness of perfume. I had fun sharing these stories also at my tea party - brought some vintage perfume that were inspired by great (and usually tragic) love stories. But Melis, you're one of my most devoted commenters! Oh I do so love your list and it inspired me to create my own! 13 roses for men and women. Fascinatingly two overlap with your choicest picks... can you guess which. I am now your devoted follower! The Dandy's such an amateur with all things electrical. Here are my baker's dozen roses I humbly present to you. Thank you for arranging this blog event! You've included some real stunners in your dozen. I love Royal Couple!